‘The day may come when my much cursed visit to Munich will be understood.’ Neville Chamberlain speaking to Margot Asquith, May, 1940. ‘You may gain temporary appeasement by a policy of concession to violence, but you do not gain lasting peace that way. It is a grave delusion to suppose that you can.’ Anthony Eden, British Foreign Secretary, speaking in May, 1938. ‘Appeasement’. Rarely has reaction to a word been so transformed by time, taking it from something worthy of the greatest praise to generating near-disgust. From common-sense avoidance of confrontation to cowardice rooted in ignoring the evidence, appeasement has gone from being a sensible policy for thoughtful politicians to something to be avoided at all costs. Why was it that this idea which was once so good has become so bad? Why was it followed with regard to Hitler and Mussolini in the thirties but not against, say, Saddam Hussein in 1991 and 2003? In the 1930s, the world was dominated by the suffering caused by the ‘Great Depression’. The economic problems which were triggered by the Wall Street Crash in October, 1929, had seen unemployment rise, trade collapse, industrial production fall, share prices fall, incomes fall and wages fall. From New Zealand to New York, from Britain to Brazil, there was despair and fear, as people struggled to make ends meet. But there were countries that were making progress and there were leaders who promised hope. This was the age of the dictators and two of them in particular seemed to be working economic miracles. In the ‘red corner’, so to speak was Joseph Stalin, bringing industrial growth in the Communist Soviet Union thanks to his ‘Five Year Plans’, while in the ‘brown corner’, by contrast, was Germany’s right-wing dictator, Adolf Hitler, whose Nazi (National Socialist) policies were having a remarkable impact and transforming the country. The fact that no other major countries were doing anywhere near as well during the depression brought great envy and attention from the rest of the world. Praise flooded in from some really rather well-respected people for both men. David Lloyd George, the British former Prime Minister, was one of those who expressed admiration for Hitler. After visiting the Führer, Lloyd George described him as a ‘George Washington of Germany…the greatest living German’. He was probably overwhelmed by the contrast between what he saw in Germany and the state of life in Britain, especially South Wales and the industrial heartlands of the country but, even so, it was a sad thing to hear from a great politician. He would later turn against Hitler, though, supporting Churchill’s ideas against appeasement but his reputation was seriously damaged. But he was far from alone in praising Hitler as there was widespread respect for his achievements across Europe and amongst several leading figures in the USA, most famously Henry Ford. The German economic recovery appeared to be so positive that most people were more than willing to overlook some of the tactics used and the shadowy side of some of the ideology. Likewise, there was praise for the Soviet Union and Joseph Stalin from many Western visitors who were shown neither the harsh realities of life behind the Five Year Plans nor the effects of the forced collectivisation of farms and the effects of that most terrible disaster, the Ukrainian Famine of 1933. George Bernard Shaw (1856-1950), a famous writer, was one who praised Stalin, controversially defending the Show Trials and naively believing that there was no famine in the Ukraine. He encouraged people from the West to go to the USSR to find work and a better standard of living. Many hundreds of people did move from the USA and elsewhere to find prosperity and hope in a ‘Communist paradise’ but few found what they were looking for, as Tim Tzouliadis records in his excellent study, ‘The Forsaken’. Shaw spoke well of Stalin, putting him among those ‘superior leaders’ who had emerged during the Russian Revolution. Again, he was not alone in his opinions, with people like WEB Du Bois, one of the US founders of the civil rights group the NAACP, and the British Socialists, Sydney and Beatrice Webb, adding their praise for Stalin. In most of the world, though, overall conditions seemed worse than in Germany or the USSR. Times of economic hardship tend to make countries turn inwards as they seek to protect their own systems, economies and people. In the USA, the richest and most powerful country of the age, this was especially true as the challenges of the Depression went alongside the renewed commitment to isolationism to which it had re-committed itself after the Great War. The USA had retreated from world affairs since Woodrow Wilson had left the White House in 1920 so that, even though it was his “Fourteen Points” had shaped the post-war world, but the US Congress had rejected the dying man’s plans for their own contribution. The post-war treaties of 1919 had not been ratified by the USA and so they had turned their backs on the League of Nations, the most important single organisation that would try to maintain peace and ensure smoother relations between nations. The League had come into existence but was only a shadow of what it needed to be and responsibility for keeping countries in line if there were unresolved disputes, rested with the two old European Powers, Britain and France. Economically they both lacked the capacity to act and politically they did not have the will to act. And in neither country was there great commitment from the ordinary people to demand decisive action, as they faced the immediate hardships of the Twenties and Thirties, and so the ‘League of Nations’ drifted. The logical thinking was, “Why should Britain and France take on these extra burdens at a time when there was such economic hardship in their own lands? Why should their men, their resources, their armies have to travel the world to sort out problems that had nothing to do with them when they would see little by way of the benefits?” The absence of the USA from the League of Nations would be a central problem which would smooth the path to war immeasurably. Other problems afflicted the League of Nations between the wars, though. Various countries were not allowed to join the League at first, notably Germany and the other Central Powers from the war, as well as the newly formed Communist state of the USSR. These absences were a natural reaction to the horrors and chaos of the Great war but the gaps at the table would prove significant, morally and psychologically as well as politically. Germany finally joined in 1926 but the sense of ‘rejection’ in those early years was strong in Germany, as was the feeling that they had been made scapegoats for all the problems of the war and were to be ‘second class’ citizens in the new world order. Hitler and the Nazis would stoke up these fires of anger which smouldered away during the 1920s. Leaving the League of Nations was one of Hitler’s first actions in 1933, one which impact on the development of appeasement. The League of Nations actually enjoyed some successes in the 1920s, mainly because the problems that came its way were quite small and included countries which were not too powerful. These countries were willing to accept the ‘advice’ of the League, which allowed Britain and France to avoid having to use the tougher measures they had available, like sending in troops to settle disputes. The League’s strategies for survival included actions at a more ‘diplomatic’ level: writing letters, holding meetings, sending advisers, making speeches which would criticise countries in public (the use of ‘shame’ to bring change) and trade sanctions. In reality, the solving of disputes in places like Silesia, Bulgaria the Aaland Islands did not tax Britain and France too much. They also had success in dealing with issues to do with border disputes, refugees, prisoners of war, slavery and leprosy. But some things were not well handled, such as a dispute involving Italy in Corfu, the failure to address the whole issue of military disarmament (which had been a big dream of President Wilson’s) and the invasion of the Ruhr by France in 1923 after Germany failed to make its reparations payments. The Ruhr invasion actually indicated a major tension between Britain and France as each country would choose to act in its own interests rather than the League of Nations; the two were not willing or able to cooperate. The weaknesses of the League became even clearer in the 1930′s when they were dealing with bigger countries and when the ‘easy’ solutions were not accepted. Anyway, things were generally ‘okay’ for the League of Nations in the 1920s but they were to get much tougher in the 1930s as the Depression started and countries became increasingly aggressive and nationalistic in such tough economic circumstances. Germany, as has been mentioned, was invited to join the League of Nations in 1926, following the Locarno Treaty which settled all remaining border disputes after the war. Germany took its place alongside Britain, France, Japan and Italy as one of the main players in the League of Nations. However, in 1933, Germany left the League as Adolf Hitler did not want to be subject to their system, advice or sanctions. The crisis for the League was exacerbated in that same year when Japan also left because it was in dispute over Manchuria (see below). This indicated a major weakness of the League of Nations: what could they do when countries and politicians didn’t want to listen to them? In contrast, a year later Stalin decided that the USSR would join the League which seemed to strengthen it but the fundamental flaws in the system were so clear by then that even the presence of the USSR made little difference: everything would still depend on good will, reasonableness and the willingness of Britain and France to act together in a decisive manner. And the odds on these being successful were not exactly high. Appeasement might not have been mentioned much so far but all of these developments in the League of Nations were important as background to it. The most significant political development that would put the spotlight on appeasement, of course, was that Adolf Hitler came to power in Germany on 30th January, 1933. He was invited to take on the role of Chancellor and he was determined to use this position to restore German power and pride by rebuilding the armed forces, revitalising the economy and creating a new Reich, a one party state that would end democracy. He set this process in motion as soon as he was in power, removing political opponents, closing down the Trades Unions, marginalising then attacking the Jews and so on. In time, he broke all of the restrictions placed on Germany by the Treaty of Versailles: the army was increased to more than 100 000 troops, the air force was built up, warships and submarines were built, troops were sent into the Rhineland, land lost under the Treaty of Versailles was re-occupied and so on. This did not all happen overnight; it took several years, and it was often a tentative process because Hitler knew that the country was still vulnerable to a strong military action from Britain and France. Hitler could not be sure of how these two powers would react to his breaches of the treaty, but he did have some good clues as to what would probably happen and they served only to encourage him. After 1933, Germany was no longer subject to the League of Nations, but there could still be problems from London and Paris in the form of trade sanctions or even an invasion, so why was he increasingly confident that he would face no direct confrontation? Two events from the 1930s suggested that Britain and France would do all they could to avoid conflict, choosing talking over fighting and direct action; these events were the ‘Manchurian Crisis’ (1931-34) and the ‘Abyssinian Crisis (1935-36). Appeasement was pretty much a nailed on certainty when you see what happened with these two problems. 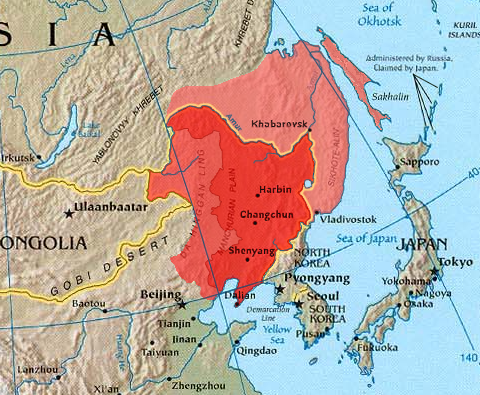 The “Manchurian Crisis” was an expression of Japanese expansionism, which had really begun when it took control of Korea in 1910. This was all tied in with Japan’s economic growth and its desire to industrialise when it had very few of its own natural resources. To cope with this situation, the army led an invasion of Manchuria in north east China, effectively telling the politicians what to do. China raised the issue of the invasion with the League of Nations in 1931, but the initial decision of the main powers was ‘to have a look at the problem’ and so they sent some officials to check things out. They also asked Japan to leave Manchuria but this was simply ignored and nothing was done about it. When the delegation reported in October, 1932, the delay itself was a sign in itself, the decision was to recommend that the Japanese that they should give Manchuria back to the Chinese. In February, 1933, the League held a formal vote on the matter, two years after the case had been presented to them, and there was a unanimous vote to condemn Japan and demand their immediate withdrawal from China. In response, the Japanese simply got up and walked out, ignoring the League of Nations and staying in Manchuria. The next stage in this dispute should have been public condemnation, a ban on the sale of weapons to Japan and a trade embargo, but with the USA not involved, any such ban on trade would simply have led to more trade between those two countries. What’s the point of a ban when the country you want to punish can just trade with someone else? Added to this, Britain and France needed any trading opportunities they could have with Japan as the Great Depression was causing serious economic hardship at home. The ‘Manchurian Crisis’ passed with no real changes and clear evidence that the League of Nations would not take decisive action, especially when there were such clear flaws in the process. Added to this, no one in Britain and France really cared about what was happening on the other side of the world; the majority of people and politicians simply saw no reason to fight over Manchuria. It had been only 13 years since the end of the Great War and few people had the appetite, money or willingness to fight – and Adolf Hitler was just one of those who took note. The next major challenge to the League of Nations came with the “Abyssinian Crisis” which started in late 1934. Abyssinia was the name at the time for the country we know as Ethiopia. Being in East Africa, Abyssinia was a dispute that was much closer to Europe than Manchuria had been, and was one that touched on the interests of the great powers, but it followed a similar process and had a similar result. The dispute was based on the Italian dream of power and glory, an ambition linked with control of Abyssinia. 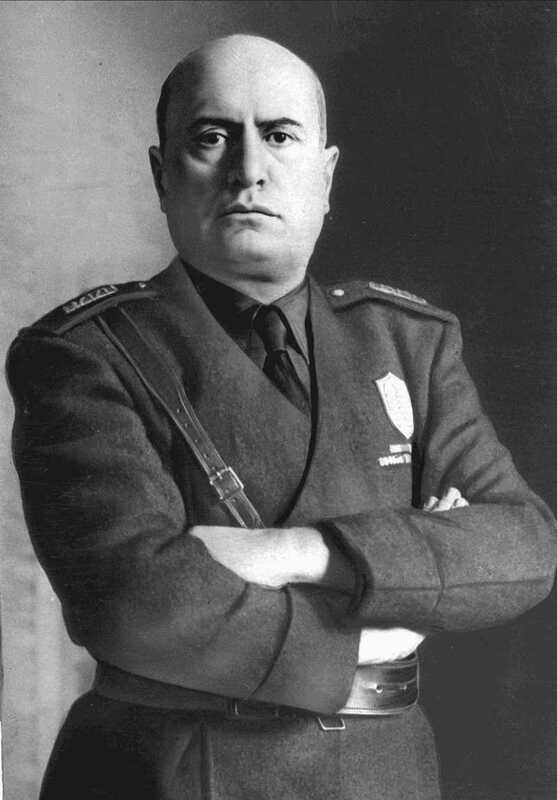 The man at the heart of the dispute was Benito Mussolini, the Fascist dictator who led Italy between 1922-1943. One of the great posers in political history, Mussolini had an ego almost as large as his chin and his torso, both of which he liked to thrust in the general direction of an adoring crowd. For Italy, he desired greatness, power and an empire; for himself he wanted glory and adoration from the people – and to be respected and feared by his enemies. Unfortunately, the chances of Mussolini or Italy being respected and feared in the mid-1930′s were rather low as the country was a bit of a laughing stock amongst the European powers, which could be traced back to the end of the Great War when their desire for land was pretty much passed over at Versailles. The Italian army had not performed with any real credit in the war, they had few colonies and little by way of industry to support a great military force. it was not actually that long since the army had actually been humiliated with defeat to Abyssinia at the hands of Menelik II during the battle of Adwa in 1896. When Mussolini was looking for a target and an opportunity to build an Empire in the 1930s, Abyssinia was there, providing the land and resources as well as the chance for revenge and glory. Abyssinia was actually an important area of Africa for several powers. Control of it was useful for its proximity to the important sea lanes linked with the Suez Canal, the Red Sea and India, as well as the Middle East. For some time, Britain and France had held territory in the country as did the Italians. In 1934, there was a clash between Italian and Ethiopian forces at a place called Wel-Wel which was triggered by a border dispute focused on Italian Somaliland. The French and British noted that the Italians had moved beyond their borders in this dispute and it was referred to the League of Nations. Part of the problem was about whether Britain and France should support a potentially important Fascist European power or a small, more peripheral, African kingdom. Italy seemed to have greater significance for them in everyday affairs and economic business, so they both took care to do as little as possible to rock the boat. The decision was taken to ignore the law and so to avoid challenging Mussolini. Haile Selassie I (1892-1975), the last Emperor of Ethiopia. (Author: G. Eric and Edith Matson Photograph Collection; Source: here). Haile Selassie was the leader of Abyssinina at the time of the Italian invasion. His dignified appeal for help from the League of Nations in June, a936, fell on deaf ears and he was forced into exile in Britain. In 1941, he was reinstalled as leader with British assistance. Today, Haile Selassie is revered as a god in Rastafarianism. The big issue for Britain and France at the time was the growing fear about Germany’s military build-up in Europe, and the two main powers wanted to keep Italy as an ally in that struggle. In 1935, Britain and France said that neither side was really at fault in Abyssinia, hoping that it would all just settle down, but this was effectively telling Italy that, as long as they promised to help against Germany, they would be pretty much free to act as they wanted in Africa. Mussolini built up his forces and, to cut a long story short, launched an attack which led to war. Over several months, from October, 1935, to May, 1936, the fighting continued until the Italians declared victory. Mussolini had his empire and the adulation of the Italian people; and the League of Nations had been exposed as toothless once more. It had been both powerless and, more importantly, unwilling to act in a clear-cut dispute; Britain and France failed to do the right thing by protecting Abyssinia, a small state which needed support against a more powerful aggressor. They had acted out of pure self-interest in allowing Italy to act as it did. Again, Hitler took note of the actions and the arguments of the British and French; the message was pretty easy to understand. Soon after the conflict ended, Mussolini took Italy into an alliance with Hitler, seeing his strength and clarity as a better model for leadership than the inertia and avoidance of Britain and France; their plan to keep Mussolini on their side had unravelled. This was in October, 1936, and the so-called ‘Rome-Berlin axis’ was to be the start of a great alliance across the Alps. It would lead to further cooperation and a strengthened unity in the joint venture to support the Fascist forces of General Franco in the Spanish Civil War which had started in July, 1936. This would be another example of the failure of the League of Nations to take decisive action to stop the rise of the dictators. And so all this is the background for appeasement, the failure of Britain, in particular, to stand up to Hitler’s expansionism in Germany ahead of World War II. Hitler came to power as Chancellor of Germany on 30th January, 1933. It was expected that he would be a ‘flash in the pan’, kept under control by the President, Paul von Hindenburg (1847-1934), and various other experienced politicians. They got it slightly wrong, to say the least, so that Hitler and the Nazis stayed in power rather longer than had been expected, until May 1945, in fact. On Hindenburg’s death in August 1934, Hitler became both Chancellor and President, combining these roles as ‘The Führer’, the Leader of Germany. As soon as he had power, Hitler acted in a far more decisive manner than his opponents expected. They could not have foreseen that he would take out the Communist and Socialist members of the Reichstag as a force; they did not foresee his ban on the Trades Unions on May 2nd, the day after he allowed the traditional May Day marches to go ahead; they could not have foreseen that the ‘Reichstag Fire’ in February 1933 would allow him to pass the Enabling Act, granting him the powers to act as a dictator during a time of ‘crisis’, a situation that would last until the end of the Second World war. And no one could have foreseen the energy with which the Nazis would enact their policies and the drive with which so many people came to support them, especially in moving forward the economic regeneration. The great symbol of this new Germany came to be the autobahns, the motorways built across the country in such number, and with such quality, that they remain amongst the finest in the world but there was development to observe in other areas of German society during the thirties. On the back of the support he received, Hitler basically began to prepare for war and nearly every major decision he made has to be seen in this light. He was one of those who felt betrayed by the ‘November Criminals’ who had signed the Treaty of Versailles. He had served as a soldier in the Great War and felt deep anger at the armistice which inflicted defeat on a mighty army. He also had a deep seated hatred of the Jews, seeing them as a disease and a curse, worthy of punishment simply for being alive. He saw the Treaty of Versailles as the greatest injustice imposed upon the people of Germany, something that had to be thrown off as soon as possible. He believed that Germans were superior to other races, and deserved more ‘lebensraum’ (living space) in the East, where they would put it to far better use than the Slavic peoples. Time was short and preparations had to begin immediately to help build the Third Reich, which was to last for a thousand years. Hitler proceeded to break each of the key terms of the Treaty of Versailles: the numbers in the army exceeded 100 000, warships were constructed and the Luftwaffe formed but Britain and France did nothing. German troops entered the Rhineland in 1936, it having been declared a demilitarised zone by the Treaty of Versailles, and Britain and France did nothing. Germany was united with Austria in the ‘Anschluss’ of March 1938 and, although there were concerns, Britain and France did nothing. They did speak to Hitler, though, and his promises that he would not do anything else to break the Treaty were enough for them; it is hard to see the acceptance of such a ‘promise’ as an act of wisdom. And then in October, 1938, Hitler’s troops moved in to the Sudetenland of Czechoslovakia. This was an area which had been taken from Germany as part of the Treaty of Versailles, the Sudetens being German speaking, and Hitler declared that they should rightfully be in the German Reich. All the actions of Britain, France and the League of Nations suggested that they might moan and complain but they would not actually do anything about it. And so it was: comments were made, questions were asked, concerns were raised but no action was taken to stop Germany retaking the Sudetenland. This is really where Neville Chamberlain, the British Prime Minister, came in, doing an early form of shuttle diplomacy, flying off to visit Hitler in the hope of brokering a deal on Czechoslovakia. The Munich Conferences came to be seen as the epitome of appeasement, the weakest diplomacy, whereby a madman gave a fool the run around. The promise made by Hitler that he would not seek to extend Germany’s control any further would soon be ignored. The decisive moment that finally brought an end to appeasement came in September, 1939, when Hitler decided to move into Poland. Again, he thought that words not actions would follow but this time it proved wrong as both France and Britain declared war on Germany and World War II began. Six years of the most intense fighting would follow, the largest and most destructive war in history. But why did Britain, in particular, not act earlier? The person seen as the epitome of the policy was, of course, Neville Chamberlain, the Prime Minister from 1937 to 1940. While this is logical, it is also a bit harsh as Chamberlain was not alone in following this policy. However, appeasement was an attitude and a policy of the British establishment throughout the 1930s, as can be seen from the way Winston Churchill was widely derided as a warmonger for his analysis of Hitler’s expansionist tendencies. Indeed for most of the thirties,he was the only senior politician to speak out against Hitler and appeasement, and his ideas around a ‘gathering storm’ saw him pushed well and truly to the margins of political life. People like Stanley Baldwin, the Prime Minister before Chamberlain, would often mock Churchill and his analysis of the dangers posed by Hitler and a strong Germany. The truth of the matter is that just about no one, no politician, no military leader and no major group in society, wanted war in 1935 or ‘36 or ’37, and with good reason: Britain was in an economic depression and could not afford it and the armed forces were not strong enough in numbers of trained troops and in technology. And also of great significance was the fact that people remembered all too well the horrors of the Great War so that the thought of choosing a ‘return match’ for no good reason was beyond them; the fathers who had fought and survived, did not want to put their sons through the same hell. Appeasement was a hopeful ‘head-in-the-sand’ approach, but it was one that united the country and made sense. Any politician taking an alternative position would have been accused of being a ‘warmonger’, a maker of war, just as Churchill was accused. The reaction of the people as Chamberlain returned from Munich on 30th September, 1938, waving that famous piece of paper in his hand, Hitler’s promise to keep his word, was one of overwhelming support. People sang and wept and cheered. They sang ‘For he’s a jolly good fellow’ and they celebrated long into the night because it was ‘Peace for our time’. Chamberlain represented a nation of appeasers, and is that not what politicians are supposed to be in a democracy, people who represent the views of the majority? The reaction of the newspapers the next day indicated that it was Chamberlain who was seen as the wise one, the strong one, the brave one, and not Churchill. The years to come would change that but the country, and the papers, were lucky to be able to be wise after the event. And France was no different really. They took pretty much the same line as Britain, seeking to negotiate where they could, taking the moral high-ground by pointing out breaches of the Treaty and expressing their concerns, but not pushing for war. This was actually an important positive in appeasement because when war finally did come, both Britain and France could say, ‘You were warned’. They could say they had tried everything else rather than rushing to war at the first opportunity. Hitler was clearly to blame for World War II in a way which the Kaiser probably could not have been held to be so totally responsible 25 years earlier. One other thing that can serve to explain, if not totally justify, appeasement is that Britain (and France) eventually won. Okay, it might have happened earlier and with far less damage and fewer deaths, but there is a big argument to say that Britain could not have successfully embarked on a war of such magnitude any earlier than it did. Maybe if Britain and France had taken on Germany in 1938 or even 1936, they would have been fighting a much weaker force but they too were far weaker than they were in 1939 – and their leader would have been Chamberlain. Behind the banner of appeasement, Britain did build and prepare for war: planes were developed, tanks were built, ships were refitted, soldiers were recruited and supplies were built up. To argue against appeasement is easy and ‘alternative’ histories are impossible to prove; there is certainly an argument to justify Chamberlain’s actions and that comes with victory in 1945. Rather like the appalling ‘Nazi-Soviet Pact’ of August 1939, the one justification is that, when Hitler did launch Operation Barbarossa in 1941, the USSR withstood the attack. It was a victory achieved at huge cost and it might well have ended differently but, in the end, the USSR played the key role in defeating the Nazis. So it could not have been completely the wrong decision to make the Pact – and maybe Chamberlain could argue the same. All of his trips to Munich, being made to look a bit of a fool and sounding rather weak as he said, ‘My mother always told me, if at first you don’t succeed, try, try and try again’, all was worth it because, in the end, victory was achieved. But it was a mighty close run thing. And don’t forget, an alternative to appeasement might well be having leaders who look for opportunities to go to war, as some might say happened with the Falklands Conflict in 1982 or the Gulf War in 2003. Somewhere between the two approaches, there has to be a ‘happy medium’ – what a shame it’s never in the same place from one crisis to the next.